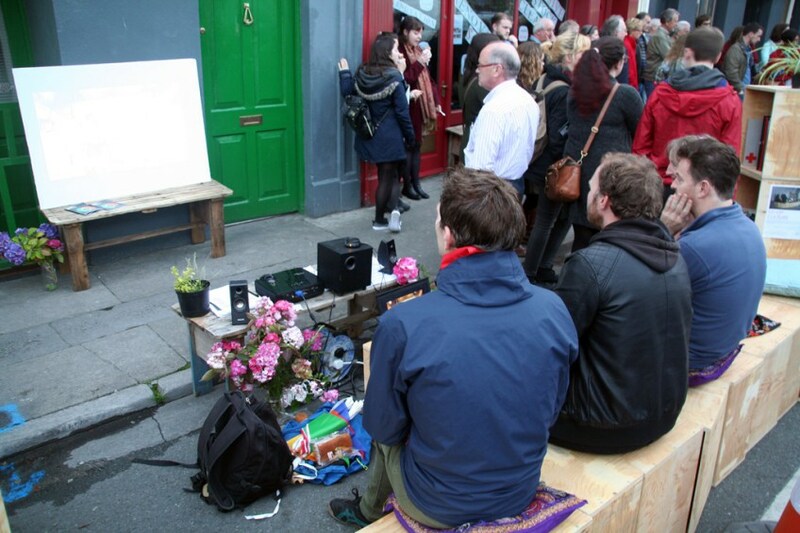 Collaborative Ways’ was established in 2015 as part of a participatory arts project between members of Third Space Arts Collective and local environmental group, Transition Galway, to engage the public with contemporary arts practices, in the form of a creative platform for collective conversations about transformative culture and the ecosystems of world we live in today. Recognising the need for an urgent and deep cultural shift and move towards a more equitable and sustainable way of life, Third Space Curator Martina Finn, local artists Kevin Flanaghan and Tom Stewart and members of a local environmental group Transition Galway, Kieran Cunnane and Caoimhin O Maollaigh, developed an interdisciplinary arts and sustainable community forum, to host a number of community cultural conversations and to explore and act on the potentials of the cooperative and solidarity economy in making the transition to a post capitalist and low carbon Galway. 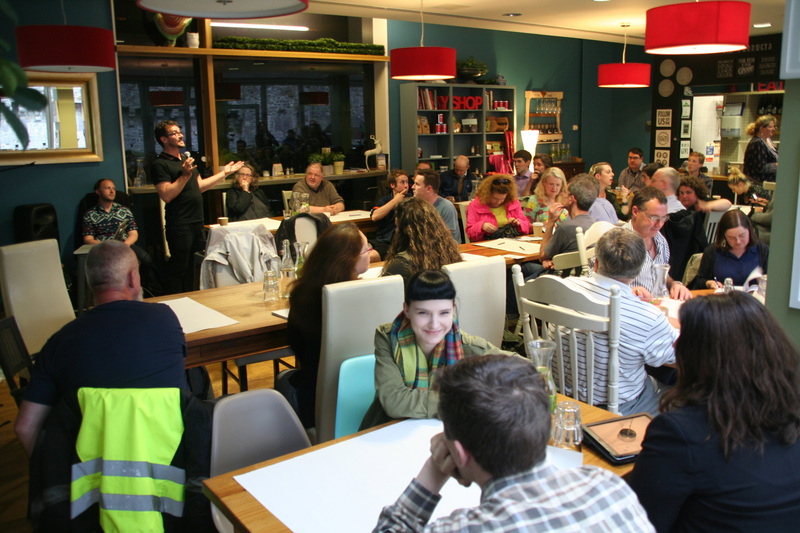 The aim was to identify possible solutions and practical first steps in embracing the transition to a more sustainable culture and way of life, address the issues of Climate Change, by beginning the process of bringing people together to collectively re-imagine and cocreating the next steps to a more sustainable carbon neutral future for Galway. The Collaborative Ways project aimed to bring together Galway’s environmental and creative communities, activists, artists, cooperative-oriented groups and local support organisations, to make connections, present alternatives to the current system and identify possibilities for creative collaborations and collective action in Galway City and County. Researching the many excellent national and international living examples of how large groups of people can progressively and effectively bring change to our ways of life and identifying Ireland’s rich history of cooperative movements, for example agricultural cooperatives and the Irish League of Credit Unions, the group attended a number of events, including those by national environmental cooperative, Cultivate on Cooperatives and the Commons in the Cloughjordan Eco Village . A co-operative is identified as an autonomous association of persons united voluntarily to meet their common economic, social, and cultural needs and aspirations through a jointly-owned and democratically-controlled enterprise and are based on the values of self-help, self-responsibility, democracy, equality, equity and solidarity. In the tradition of their founders, co-operative members believe in the ethical values of honesty, openness, social responsibility and caring for others. Combining this rich history within both the arts and community sectors, with the contemporary need for environmental sustainability, presented the Collaborative Ways initiative with an opportunity to research and build on the possibilities in this area for Galway; aiming to prepare for the challenges of climate change and creating a more sustainable local culture and resilient Galway. In engaging the local community in how to reignite and bring this ethos and work to Galway, the Collaborative Ways group held a number of public cultural events throughout 2015 and invited a number of local and national artists, cultural practitioners, cooperatives and community groups working collectively to create systems that actually reflect shared values and aspirations – that all life is intimately interconnected – and working towards building vibrant and resilient communities whilst honouring the rights of Nature. 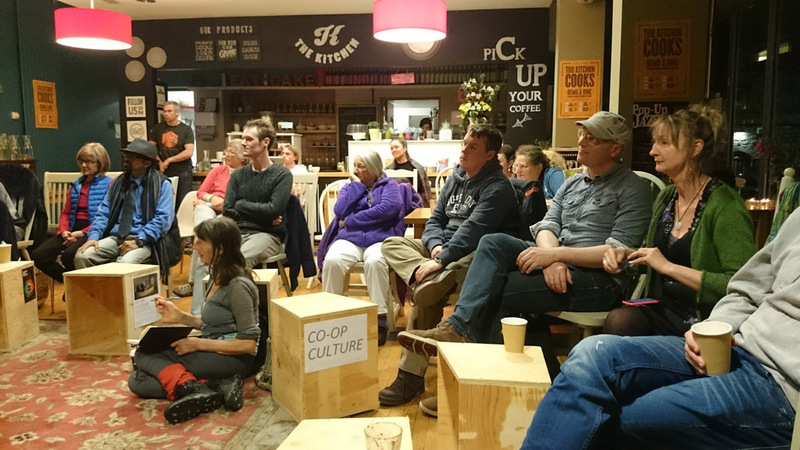 Some of these events included the inaugural Collaborative Ways Forward meeting held in Galway City Museum Kitchen cafe July 2015, hosting our first public meeting on Open Cooperatives, Collectivity and the Commons. Speakers at the meeting included Lucy Elvis Co Chair of 126 Artist-Run Gallery, Artist Kevin Flanagan of the P2P Foundation; Davie Phillip from Cloughjordan Ecovillage, Director Convergence, Sustainable Living Festival and who manages the Community Resilience Programme at Cultivate Living and Learning; members of the Limerick Community Grocery Bill Kelly and Deirdre Mac Mahon; Kieran Cunnane of Transition Galway; John Lonnegan, member of the Renewable Energy Co-Operative from County Tipperary and Pauline Leonard of the Western Development Commission. 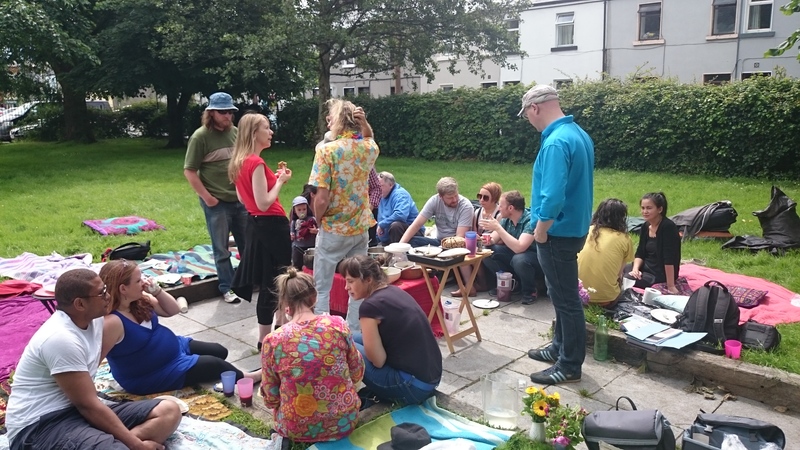 In August, members of Third Space and Collaborative Ways Forward were invited to participate in ‘The Art of Commoning’ Summer School, a shared inquiry for a 3-day gathering, hosted by P2P Foundation, Cultivate and The Art of Hosting in the Eco-Village Cloughjordan. Recognising the many roads that lead to the commons: the collaborative economy, open culture, technology and knowledge sharing, shared meaning-making, protecting biodiversity, seed saving, our natural resources, and more… the Summer School was grounded in the actual practice of collaboration and ﬁnding synergies. The aim of ‘Coop Cultures’ was ‘to actively explore and celebrate the intersection of the arts and cultural ecologies of the city in a creative space of public assembly and exchange, fostering a belief that through creative and critical engagement and opportunity people are inspired and enabled to become active co-creators of their culture and society’. Utilising artist Seoidin O’Sullivan’s ‘Seating System’ to act as a central public platform and interactive site for this performative and d­­iscursive event and ‘create a space for commoning, creating a space of empowerment and possibility’, we aimed to bring together both arts and non arts groups, and to manifest and test the site in its potential for participation and engagement. 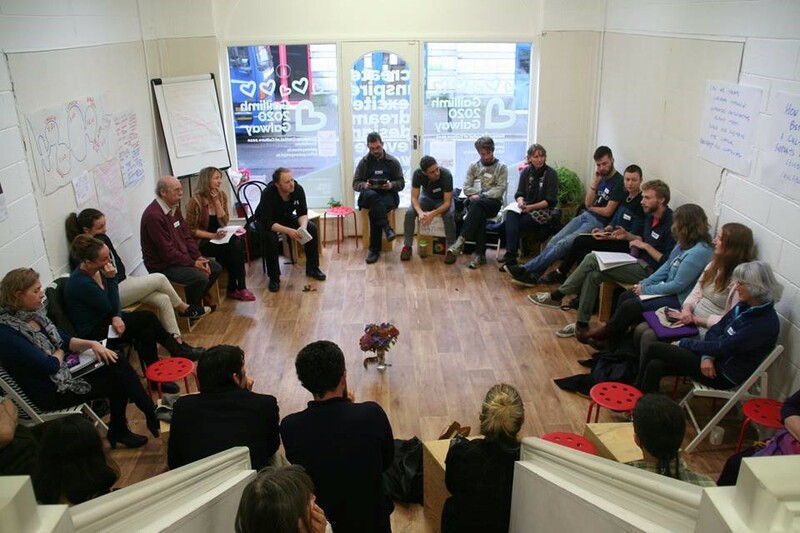 We were then invited to initiate Galway’s Sustainable Living Festival as part of the nationwide Convergence in October 2015, organised by Cultivate and hosted in Galway by Third Space and Collaborative Ways, offering the opportunity to develop a number of community and cultural conversations, inviting local networks, artists and collaborators to meet, in identifying the next steps needed in embracing the local transition to a more cooperative carbon neutral and renewable energy future, while also placing our conversations within the wider national and international context of developments in this area. Local Inspiration in this area, came from the work of the Aran Islands Community Cooperative/ Comharchuman Fuinnimh Oileáin Árann Teo, who are half way through an ambitious ten year plan to make the Arann Islands carbon neutral by the year 2022 and partners in furthering a sustainable vision for Galway. This work was highlighted in an Irish Times Article in July 30th 2015, following a visit to the Islands by Minister Alex White, which outlined how ‘a combination of insulation, electric vehicles, heat pumps and wind generation could make the islands entirely “energy independent” by 2022. Sustainable Energy Authority of Ireland (SEAI) chief executive Brian Motherway highlighted… ‘where already improved insulation and efficient heating systems have cut energy bills by about €250,000 annually’ and which ‘could provide a national and international template for self-sufficiency, Minister Alex White acknowledged, during his visit there in July, where he paid tribute to the “leadership and inspiration” provided by the islanders themselves. Eimhim Shortt spoke of the development of the The Birr Community Growery 2020 project, an initiative based on principles of local self sufficiency, collaboration, cooperation and building local and national partnership. He highlighted the importance and success of this initiative in their area growing from an initial ¼ acre plot, to 10 acres in just a few years, due to the overwhelming positive response and success in securing local engagement along with funding from The Plunkett Foundation and others. 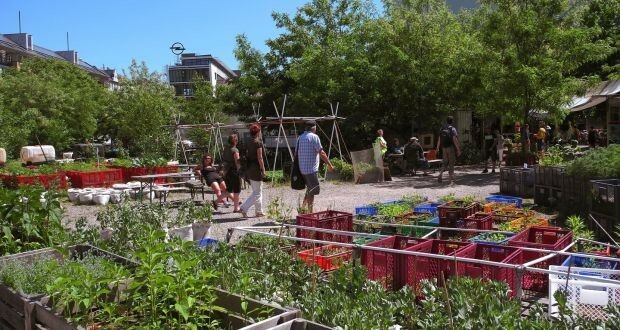 The Birr Community Growery provides a model of a food commons, community self sufficiency and community energy in a world where Eimhin highlighted ‘the lack of affordable healthy food means people are priced out of health’. He believes that there is no future in cost competition on international markets, but instead the way forward lies in agroecological approaches, especially those integrating Iocal approaches. He closed by referring to the traditional Brehon duty of care for the land. Highlighting the links between Culture and Sustainability and ongoing local community group consultations to develop this work, the strategy will move to implementing suggested Cultural Actions in early 2016. 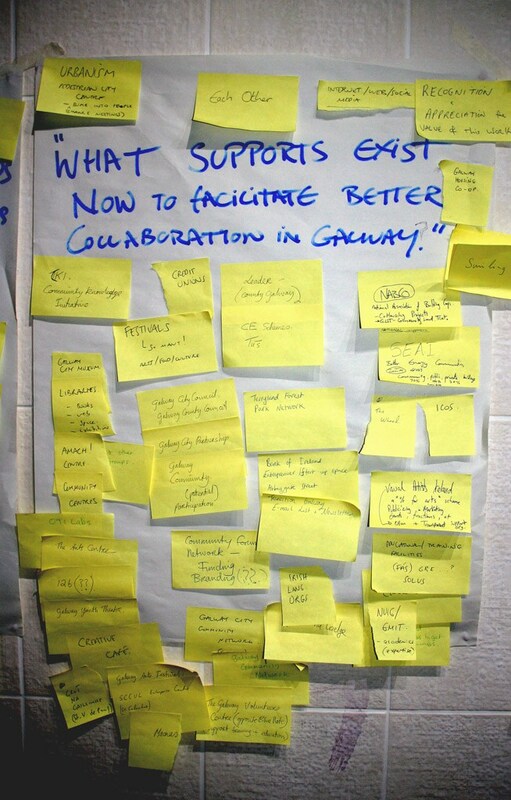 Galway is now part of the Pilot Cities program, with 11 cities engaging in a peer-to-peer learning network, with expert advice, and extensive consultation, to develop practical grounded implementations. Eithne spoke on the need to develop scalable models for commons spaces, whether of a small scale appropriate to a village to larger urban hubs. These models require processes to bring various interests together to share space and resources, to be supplemented by a mosaic of funding streams. Also as part of the Sustainable Living Festival in 2015 we hosted a day long event ‘Emerging Futures’ that invited specific sectors and participation from everyone in Galway committed to creating a more equitable and sustainable future and culture and invited diverse perspectives and contributions from young people, students, grassroots, arts and cultural activists, environmentalists, SME’s, local institutions, government and community networks and included guest speakers who shared insights and inspiration from local community and cultural projects such as the Community Workers Coop, An Meitheal Rothar, Galway City Community Network, Third Space Galway, GMIT, Transition Galway, Leaf and Root CSF, One World Centre, G126, Artspace, LARC, artists Nuala Ni Flathuin and Bernadette Divilly amongst others. Addressing the question – ‘How can Galway embrace more participatory co-operative opportunities and approaches in support of the transition to a more equitable and sustainable way of life?, the ‘Emerging Futures’ event took the form of a participatory ideas workshop exploring transformative processes, civic and cultural agency and local change making processes, where members of the public were invited to join in identifying future local actions. Arising from these events, a number of areas were identified in order to take the necessary next steps in addressing the immediate local and global challenges in embracing a cooperative and carbon neutral future. Following the inspirational talk by Dara Ó Maoildhia from The Aran Community Energy co-op, which he highlighted is run by volunteers, and is committed to ensuring that there is stakeholder involvement and affiliated to Energy Co-operatives Ireland (ECI) ( which also has co-ops in Mayo, Longford, Dublin and Kerry ) a Galway Community Energy Coop is also now being planned. Energy Cooperative Ireland Chief Executive Cormac Walsh and Mr Ó Maoildhia stress that such energy co-ops created jobs, while empowering communities to take control of their own energy use. 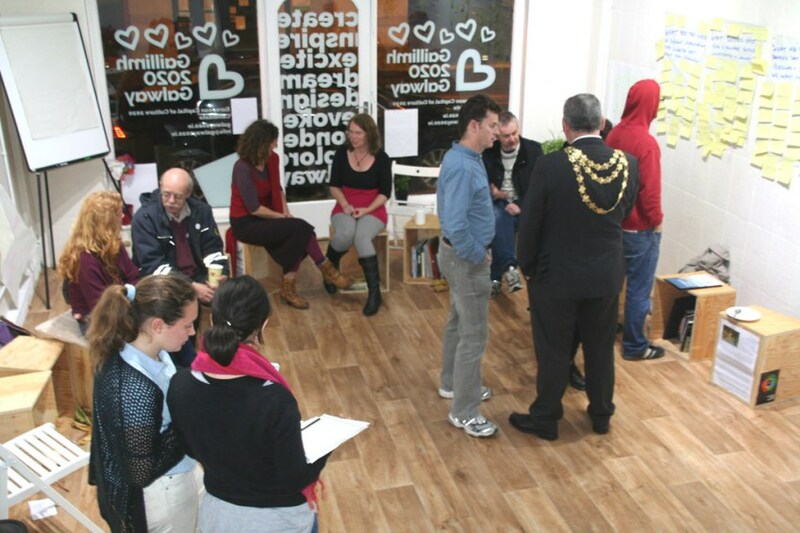 During our Community discussions a number of other areas were highlighted for development, aimed at addressing deficits in the lack of meeting space and opportunities for skill sharing and collective gatherings such as a Cultural Sustainable Living Centre for Galway. It was agreed we needed to develop the possibilities in these areas for Galway City and County, by locating a suitable site as a living demonstration, leadership, arts and education project and create the necessary community and institutional partnerships in order to develop a Cultural Sustainable Living and Educational Centre in Galway. This project would work to facilitate the development of the identified collective vision for a local carbon neutral research and demonstration project for Galway incorporating community arts, sustainable educational and energy and new technology demonstration projects, exploring community renewable energy and food sovereignty, community supported agriculture self sufficiency projects and Community Resilience. As we adopt behaviors that increase everyday ecological awareness and reduce our “carbon footprint”, it was agreed equally important as the outer is the inner transformation and how we must also foster a culture of mindful living and care for our environment and ourselves and our fellow human beings. It is acknowledged that by developing and nurturing relationships and Mindful Living conditions for co- creation and caring, we can also help people connect with and address the bigger challenges that face our environment and communities at the local, national, global levels. In addition to the community’s sustainable, environmental and creative use of the Sustainable Centre it was suggested, could also act as a rich community and cultural learning context, providing an outlet for people of all ages and abilities, including diverse members of our communities, minority, young people, old and the marginalized and those with special needs, offering a space for ongoing community development, collaboration and co-creation. Most social and ecological innovators agree that the most fundamental criterion for all our political, social and economic reform is re-localisation. This means bringing governance & decision-making, livelihoods & businesses, food & energy production, water, waste & biodiversity management back to a locally directed and a bio-regionally sustainable level. Through these practical collective efforts, as exemplified by the Transition Town movement, we wish to build vibrant local economy and resilient communities… identifying how in Iceland, Ecuador and Costa Rica, Denmark and elsewhere, we now have living examples of how large groups of people and governments can progressively and effectively change our ways and culture to create systems that actually reflect our values and aspirations for a more equitable and sustainable future. 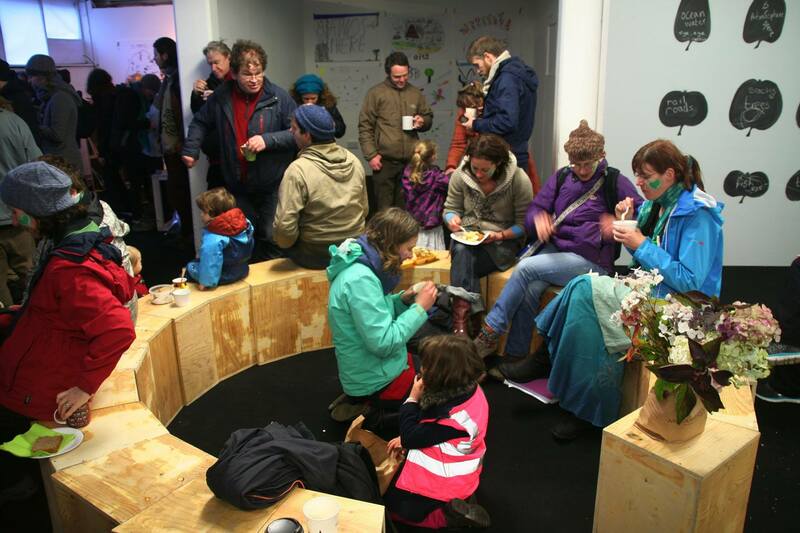 As a Closing event in 2015, Third Space curator Martina Finn and the Collaborative Ways team hosted a post Climate March Commons gathering in the Tulca process room again utilising the art work of Seoidin O’ Sullivan and architect, Karl O Mahony, Seating System which was a part of the festival and marked a closing event for ‘Seachange’ Tulca Festival of Visual Art 2015. Third Space, is an artist led research, participatory arts and discursive platform that promotes the vital role of art and culture in the creation of place and community life, through socially and politically engaged collaborative arts practices. With an objective to foster and cultivate a deeper awareness of the benefits of creative thinking in relation to all aspects of contemporary life and culture, Third Space aims to actively demonstrate the benefits and needs of the cultural practitioner to be embedded in a local development context. Through a thought provoking programme of discursive events, community projects, film screenings and workshops, Third Space, aims to offer a contrast to traditional gallery practices or ‘white cube’, by presenting community-based arts engagement in a centrally located community arts hub and resource centre. 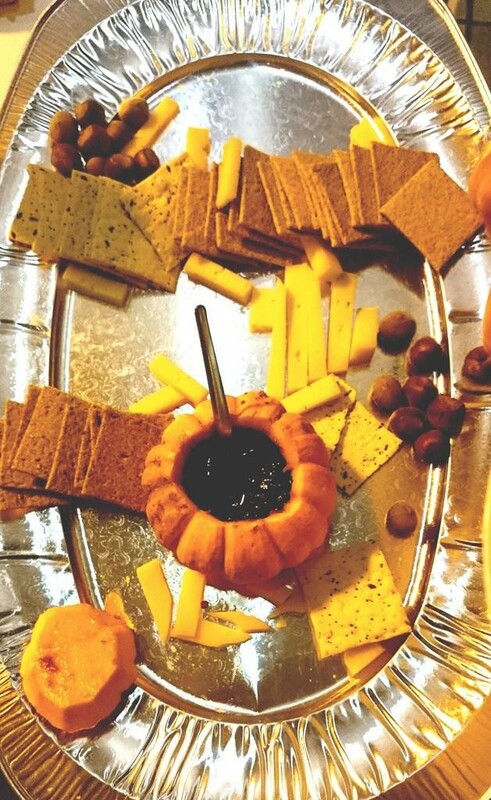 Serving as a locus within the community, Third Space aims to develop and deliver tangible local cultural and community benefits in partnership with local communities and stakeholders and harness the potential of collaborative/ or socially engaged arts to dynamically re-activate, re-imagine and re-invigorate the city and county. Third Space Curator Martina Finn is co-founder of the Collaborative Ways Forward (CWF) Initiative. 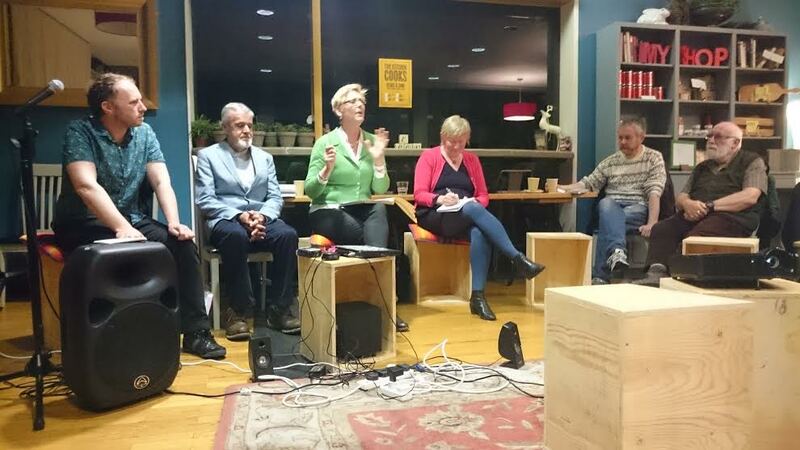 Transition Galway is a community group, aiming to prepare for the challenges of diminishing oil and gas supplies and climate change, creating a more sustainable, resilient Galway.